The Public health looks into the prevention of disease and promotes the health of the people around. Their main aim Unit 11 Public Health and Social Care Assignment is to protect the people from the diseases, whether curable or non-curable. There are many organizations that work towards the same. The organization WHO is one such which helps the people to curb the diseases that would affect the people. The awareness required to be spread between the people is the main aim of these organizations. The organization WHO was formed by the United Nations on April 7, 1948 and this day is known as the World Health Day. 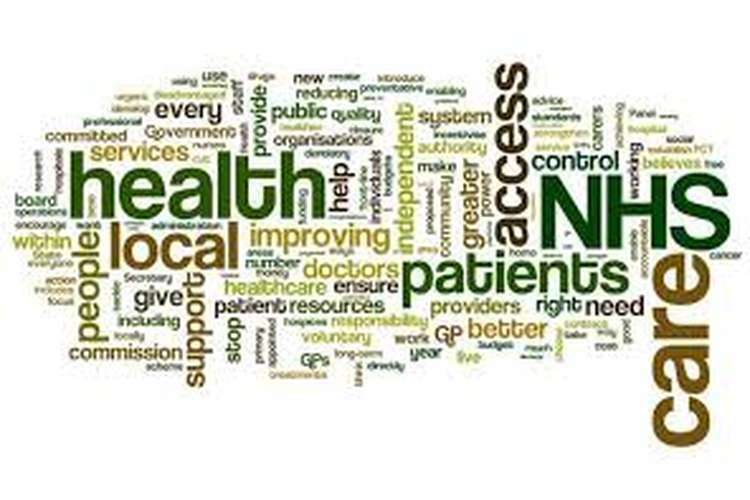 1.1.Explain the roles played by WHO, Department of Health (DH) and Local Authorities in identifying levels of health and diseases in communities? As earlier stated that the object of the public health is to provide protective and preventive measures to prevent diseases. Whether a disease is curable or non curable is not a considering factor. In this connection, WHO helps the people to curb the diseases that would affect the people. W.H.O. prescribes three principal public health propositions. To identify such communities and populations who are at risk in terms of health problems in order to make assessment as well as monitoring. Identification should be done on priority basis. Constituting design of public policies for the purpose of solving local as well as national health problems which are identified. Moreover, it should be done on priority basis. It is required to ensure that all human beings should have the right to use appropriate as well as cost effective supervision. It refers guidance on account of health improvement, health promotion and prevention on ill health and such guidance refers to strategy, policy as well as results. It refers guidance relating to protecting people from various sources of health threat. DH leadership in the matter of urgent preparedness together with response. Controlling and regulating advanced developments in the field of medical science for effective improvement in health care. Forming JSNA with a vision to build up coordinated, consistent as well as rational commissioning strategy. JSNA refers to joint strategic needs assessment. To provide support to local demands and prefer to patient’s intention. In this connection provide effective guidance in the matter of health improvement and its promotional activities. 1.2 Explain the epidemiology of HIV or Ebola and Breast cancer or diabetes (Type 2) in your own country. The term epidemiology is defined as a study in respect of distribution and factor causes disease, injury in human beings. It also defines about different health outcomes for population. The object of this study is to acquire knowledge about diverse health conditions and to know the impact about those different vulnerabilities have on the symptom of disease. Non infectious disease can be referred to those chronic diseases which have a prolonged effect to the affected person and it is observed that the rate of progression towards development is slow. Moreover, such chronic problem may cause death also. Non infectious refers to non transmissible. This non transmissible disease required chronic care management the object of which is to make the development slowly having long term curable assurance. Diabetes type 2 is one such disease which has a very impact among the population of UK. There are several reasons behind this disease. It is often seen that lifestyle, and background of the infected person are liable to cause this kind of disease. It is often seen that this disease is inherited genetically. Other causes of this disease are obesity, physical inactivity, heightened stress level etc. Diet and lifestyle - Doctors and medical educators recommend that daily exercise as well as balanced diet can curb the development of such disease. It is advised women should take low calorie food and avoid alcohol to keep this disease at bay. Breast feeding - As per statistics it is seen that women who feed breast milk to her baby are less prone to having such disease. Due to breast feeding the level of oestrogen remains in a balance position which diminishes the possibility of cancer. Treatment - If anyone suspects of having the possibility of such disease can avail the facility of treatment and can reduce its happening. Age, past family history may lead to such suspect ion. There are two ways of surgery relating to breast cancer. Mastectomy: It is related to removal of breasts from the body. By doing this surgery a woman can lessen 89% risk of having cancer in the future. Medication: There are basically two medications available curbing the development of breast cancer. One is called tamoxifen and the other is said raloxifene. 2.1. Determine current priorities and approaches to provision of services for people with disease or illness such as HIV or Ebola and Breast cancer or diabetes (type 2). As far as breast cancer is concerned the concerning fact is that the rate is escalating very steeply and those women who are in the age bracket of 65 to 69 they are mostly affected by breast cancer. The aforesaid data is justified as it is based on the screening report of those women who have exercised it for the purpose of cancer detection. Screening can be done at any point of age in order to detect symptoms as it may lead to treat the patients effectively. (Ayim,2011) Anyhow, breast cancer is a common disease with an aged demographic. Lifestyle: Absorbing limitless alcohol can be the major source of developing the symptoms of such disease as alcohol can boost the level of oestrogen and when it increases abnormally it makes an adverse effect on breasts. Breast feeding: Little application of breastfeeding is dangerous as it may lead to develop the symptoms of breast cancer. Night shift duty: As per international research it is observed that women working at night shift carry greater chance of having such disease. Control alcohol in taking. It is better to get rid of alcohol otherwise, drink in a moderate standard. Don’t go for hormone replacement as it is risky to having breast cancer. Get married early and begets child so that the application of breast feeding starts at the early age of live which can reduce the possibility of having breast cancer. Women should avoid night shift working as it can be the cause of breast cancer. Balanced diet is important to curb the likelihood of breast cancer. There should not be no manipulation with the collection of ethnicity data to address disparity. To participate in the research trial. Health disparity is observed in UK. It is because of development of economic inequality among the society where poorer people are deprived of getting proper treatment which leads to a huge difference between the affluent section of the society to the lower income group. There is also an ethnicity problem lies in UK. It is observed that two fifth of the ethnicity people lies under low income level and it is found cancer spreads rapidly in this community. Therefore, such increasing rate affects service provision. In case of practicing medication for cancer treatment sometimes prove to be very dangerous as side effect is detected by applying raloxifene to the patients. Therefore, when more and more cancer patients use this medicine for their treatment they also develop side effects which affect the service provisions. As earlier stated, one section of ethnicity group is badly affected with the increasing rate of breast cancer possibilities. Unawareness and illiteracy prevails in this section. They are not so interested to avail the facilities provided by the Government. Rather, they believe in some unscientific ways to remove such problems. Moreover, They live below the poverty level therefore, this economic inequality tends to desist them spending money for medical treatment. Healthy as well as balanced lifestyle are required to live the life smoothly. In case of diabetes type two patient the following lifestyle need to be maintained which has a positive impact over the disease. Avoid to take alcohol. If it is taken, then take in a moderate limit. Daily exercise is another aspect to keep controlling the glucose level in the body. Avoid fast food and other ingredients which are harmful for diabetes patient. If the percentage of obesity is 20% it will probably touch 80% at the stage of adolescence period if without applying any preventive measures during the childhood. The family of the obese child need to change their eating habit. This is essential. Family should encourage their children to exercise daily. Family should not allow their children to see television for long period of time. The same is applicable for computers. Family should provide adequate fruits their children. Encourage children to take water instead of soft drink. Despite taking the preventive measures if it is not possible to prevent obesity for the large community comprised of children as well as adult people the following measurements can be implemented. Such items should be provided within an affordable range. For promoting more healthier food and beverages the Government should implement tax reduction on these items. Restrictions should be implemented to desist supplying less quality health drinks. Implementing all possible steps to prevent obesity it is recommended that proper treatment is also required for future protection as this obesity is the major source of having diabetes type 2 disease. Once an obese person is attacked with this disease he then none but to take medicines together with daily exercise and other essential measurement to control the glucose level in his body. 3.1 Assess the Health and Wellbeing priorities for people in Health and Social care setting. A nexus have been established between Greenwich borough and NHS Greenwich for the purpose of evaluating health challenges at Greenwich borough together with formulation of relevant strategies to face these troubles. The population of this borough have been increasing for the last few years therefore, it is facing some significant challenges in the matter of health. Deprivation is observed particularly in the northern part of the region. In addition, the age of the population is expanding therefore, it is indispensible to generate some short term and long term strategy in the matter of health issues. Exchanging thought among the agencies across this area. In this borough the major health problem is obesity. Therefore, emphasize is given upon controlling quality of life of children and senior persons and also giving focus on those remote areas where the poorest people are living. The strategy also includes promoting employment opportunities to the deprived places. The strategy also emphasizes to draw a plan regarding health issues of the employees employed in different agencies within this borough. It spreads education about the dangerous effect of obesity in the future for the young generation. It confers the ill effects of taking fast food and soft drinks. It has developed student challenge club where many physical instructors are appointed for providing guidance on physical activities. The borough has created a special committee whose role is to identify the remote areas where most of the people are living under poverty level. It is found that there are several types of health problem prevail across these areas. (Jeferries,2005) Obesity is a very common problem in this area. The committee has recommended the borough to provide employment opportunity in these areas in order to improve the economy position. The borough has implemented several employment schemes like promotion new activities in the field of agriculture and thus it put effect in implementing its strategy for the poorest section of the community. 3.3. Discuss the changes that could be made to improve the health and wellbeing of individuals in a Health and Social Care setting. Moreover, as earlier stated more employment opportunities can be provided to the people belonging to the remote places of this borough. Scarcity of money and ignorance the dwellers of these places are deprived to afford treatment cost of any disease. They depend upon unscientific methods to remove their disease which sometimes causes major deterioration to their health. Therefore, it is required to improve the current economic condition of these regions. At the same time social awareness programs need to be implemented which enables them to comprehend about the adverse effect of adopting alternative unscientific means to cure their diseases along with imparting knowledge about the benefit of medical treatment. The authority also can set out a program where the guardians can be invited to provide tips about how to groom their children in a scientific way in order to stay away from the obesity problems. This can be done by inviting endocrinologists who can give lecture on metabolic disorder, diabetes and obesity. 3.4 Evaluate an activity that has been implemented to encourage behaviour change for maximising Health for individuals in Health or Social Care setting. There are many policies those policies that are adapted by the WHO and the department of public health in resolving the issue. The better policies are adhered to, the better environment the people are going to live in. Providing encouragement to the smoker to give up this habit. Providing encouragement not to smoke among others. The result of these programs are highly appreciated by the citizen of this country as it is observed that 1.5 million of population have tried to give up smoking. Moreover, many smokers have made an attempt to quit this habit. Not only that the harmful effect of smoking is also reached among different section of people through passing the message by the participants of these programs. Non smokers are also active to protect their family from smoking. The posters could keep for making the public aware as to what they need to do when they see unclean street. This is to educate the people so that the inhabitants do the routine task without fail. The importance of keeping the surrounding clean would give fresh atmosphere and a better place to live. Stoppage of wastage of water, checking the stagnation of water that might cause disease, these are the small but more useful information that have to be built in the people’s mind. The importance of cleanliness and other useful things have to be imbibed by the people and followed religiously as this is healthy for the current people on earth and also for the father generation.